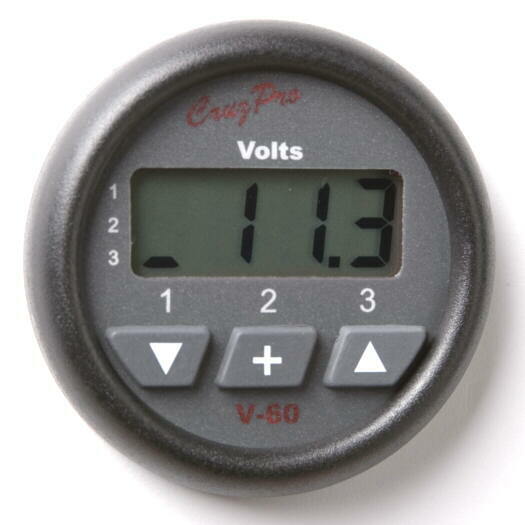 The V60 Digital Volts Gauge provides accurate low cost digital instrumentation for three banks of batteries between 9.5 and 33 Volts. 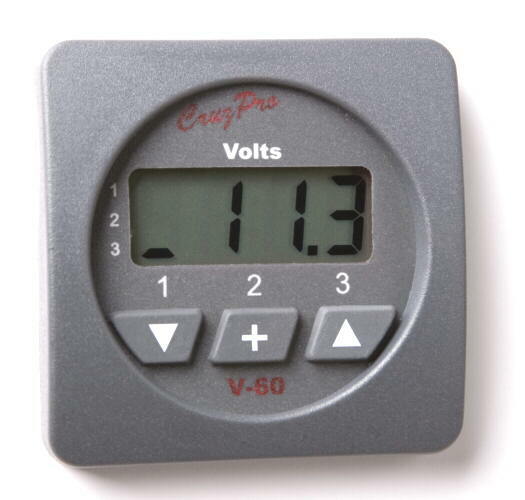 You can set independent Low and High voltage alarms for each bank When activated, the V60 built-in 85 dB alarm will sound and the display will flash. Five levels of backlighting can be selected and all set-up, calibration constants and alarm values are saved to non-volatile memory. All constants and calibrations are pre-set during manufacture but you may alter these settings to suit your particular needs. 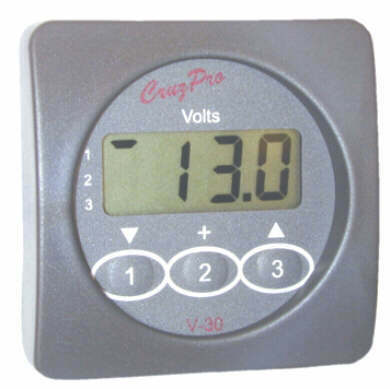 Calibrations can be altered using the front-panel switches for battery voltage and low and high voltage alarms for each bank. High volts and Low volts alarms can be independently set using the front panel switches and all alarms can be turned ON/OFF simultaneously with the press of a single key. The V60 draws only 0.017 amps and is designed to be left on continuously. 5 levels of backlight (including OFF) can be selected from the front panel and is saved to non-volatile memory. 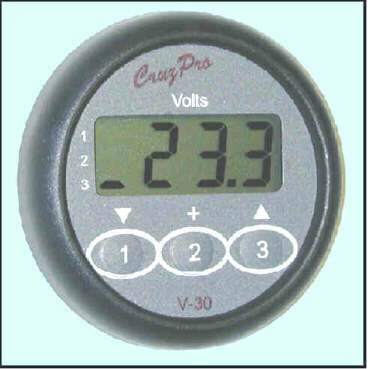 The V60 outputs digital voltage data for each bank on the standard NMEA 0183 serial data line at 4800 BAUD.